Rain yesterday, rain today, and more rain, forecasted for the entire week. We are fortunate that we farm at a small scale with a labor-intensive production system, and that this system doesn’t rely on a tractor to plant. (We do use our tractor for tillage, mowing outside the garden, heavy lifting, and other random farm projects.) If we farmed on a larger scale and depended on our tractor for all tillage, planting, and cultivating, all this rain would make it impossible to get any work done without causing significant compaction to the soil. 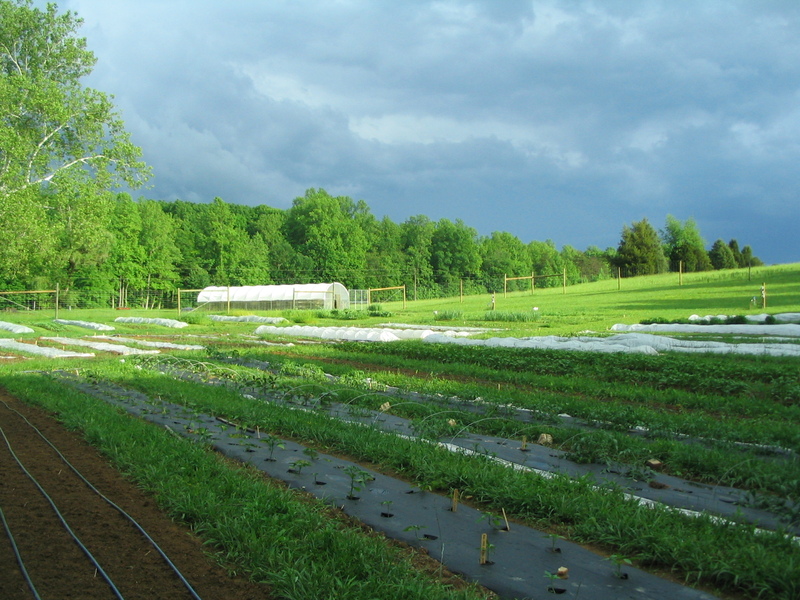 Farming is a hard enough endeavor without being totally dependent on having nice weather. So, amidst the inches of rain we received yesterday and today we were able to get a few things done. Our sandy soils dry out relatively quickly; and we tucked in a few seeds before the rains began again. Just caught up on what is going on. Your dad is beside me and was very impressed that you have squash and zucchini coming along. I wish I could share the beets. Wish we were closer to take advantage of your products.